butcher knife. Built to be both tough and sanitary. A textured, slip-resistant, easy-to-clean polypropylene handle withstands both high and low temperatures. An impervious blade-to-handle seal provides the utmost in santiary qualification. 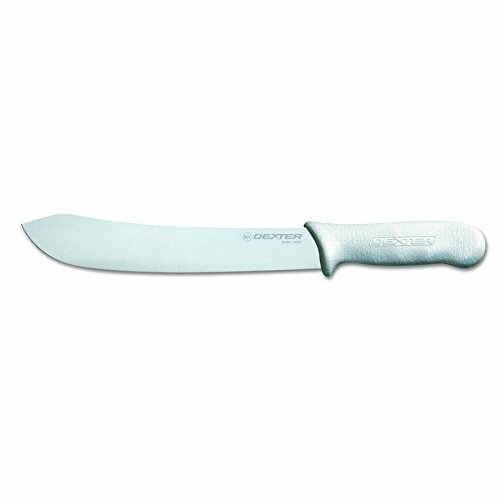 Stain-free, high-carbon steel blade with an individually ground and honed edge, excels in commercial use. Made in USA. NSF Certified. If you have any questions about this product by Sani-Safe, contact us by completing and submitting the form below. If you are looking for a specif part number, please include it with your message.